Wrap connections is a gift wrap division of Rasik Group and we are glad to introduce ourselves as a premium manufacturers of metallized and holographic gift wraps in India. 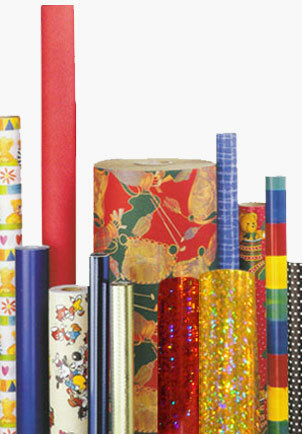 We provide customized gift wrap consumer rolls according to customer required width, length, thickness, design and packing. Our expertise, experience and production capabilities helps us to understand the customer requirements and fulfill the commitment including that of on time delivery. Wrap connections always develop new designs and concepts for their customers which gives them a wide variety of selection gift wrap manufacturer and gift wrap of their choice. Our perfect selection of plain printed, wholesale gift wrap, metallic and holographic gift wraps are available in wide range of colors and answers the need of every occasion. 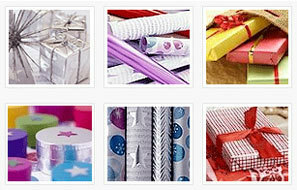 We have the perfect selection of everyday celebration gift wraps to match any style. From bold graphic patterns to elegant jeweled metallic and holographic prints, we have the perfect offering for everyone on list.